All living creatures employ technologies to gain evolutionary advantage. For example, bats have evolved the use of echolocation to find their way as well as things to eat. A tortoise has evolved a shell to protect itself. There are countless examples. These technologies are tools for survival. 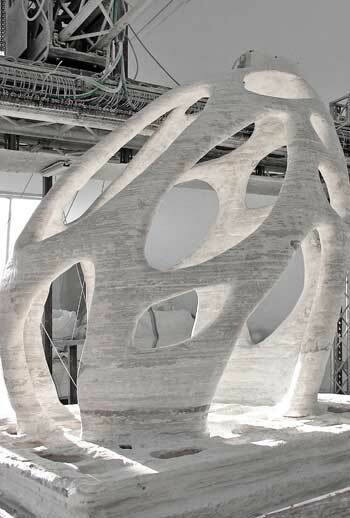 Humans are equally a part of nature and now harness new “hypernatural” tools to “amplify, extend, or exceed natural capabilities.” Novel approaches are resulting in advances in the most essential technologies: shelter, or, in its cultural form, architecture. 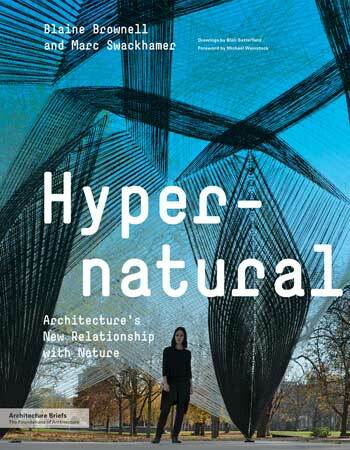 These new hypernatural forms be the “very aim of evolution itself,” write University of Minnesota architecture professors Blaine Brownell and Marc Swackhamer, in Hypernatural: Architecture’s New Relationship with Nature, their brilliant new book. Although, they add that “evolution is a complex, messy process.” Hypernatural architecture, with all its technological advancements, is then subject to the same evolutionary development processes facing all new tools: these technologies will duke it out with others in a long-term struggle to see which is the most resource-efficient and cost-effective, which give individuals and communities the most advantages, and perhaps which benefit humanity the most. Furthermore, climate change, the loss of biodiversity, and reduced freshwater resources, among other environmental challenges, create a new set of conditions that will further shape the evolution of these human tools. New environmental conditions will evolve technologies, just as they will evolve new environments. But the whole goal of designing with nature — instead of wrecking havoc on nature in pursuit of profit — is to create a relationship between the environment and our tools that is more sustainable. 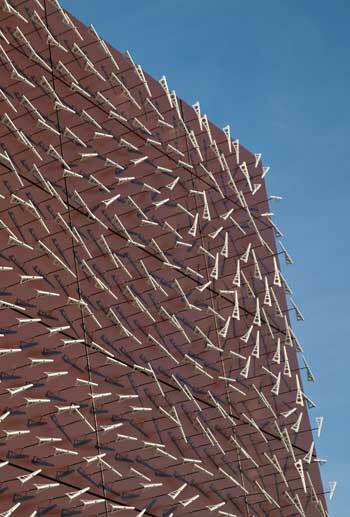 Perhaps the primary value of Hypernatural is that it organizes all the projects that relate to “nature-focused movements,” like geo-design, bio-engineering, and bio-mimicry, creating a clearer understanding of how architects, interior designers, artists, and others are “designing with biology.” They delve into all the ways projects incorporate biology, explaining the difference between behavioral, genetic, and epigenetic (environmental) projects. And they organize the array of new projects — some of which are truly mind-boggling — into broad groups that follow the founding domains of life: the geosphere, atmosphere, and hydrosphere. There are also examples that relate to the microbial, botanical, and zoological biospheres, as well as a final chapter on the “noosphere,” the domain of purely human thought, which Brownell and Swackhamer argue is also a legitimate “natural sphere.” (Another plus of this book is will serve as a useful refresher of all that introductory biology that has been forgotten; there are also tons of interesting factoids about the earth and its natural systems). 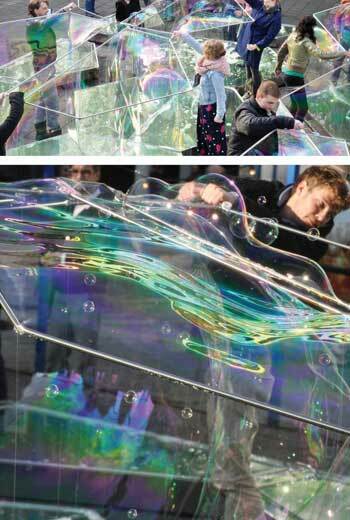 The hydrosphere section has many intriguing projects, but one that particularly leaped out was Bubble Building by DUS Architects, which was created in the Netherlands in 2012. In a pavilion in Rotterdam, the architects composed 16 hexagonal, shallow pools filled with a thin layer of soap and water. “By lifting metal rings that circumscribe these hexagons, membranes of glassy, rainbow-colored film stretch to form temporary pavilion walls.” While architect Frei Otto and others have long been inspired by bubbles, this project actually uses them to build something, albeit temporary. It disappears when unoccupied. 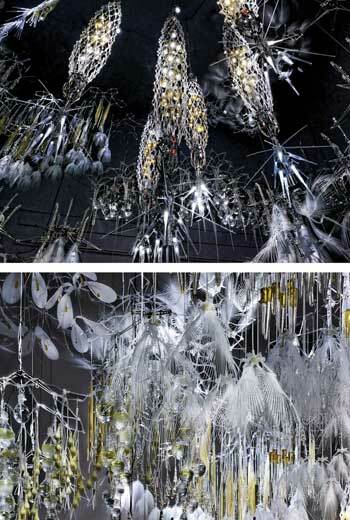 Radiant Soil / Philip Beesley Architect Inc. While the focus is on buildings in Hypernatural, there are enough great ideas to interest any designer focused on the future of design and biology. If there are any criticisms, it’s some of the botanical examples fail to impress: it seems natural botanical forms are still far more interesting than hypernatural ones. And too many of the projects are one-off artistic or architectural experiments that don’t seem particularly scalable or accessible, unless they have been explained to you. But, then again, didn’t so many innovations we take advantage of and so many aesthetic movements we appreciate today start out the same way, misunderstood in some lab or studio? Fast forward a hundred years into the future and it will be fascinating to see what small glimpses of the future displayed here will be mainstream. Next Article Walkonomics: What Makes the Best Route? Reblogged this on quest for a better world.